What to Eat After Root Canal Therapy? We’ve Got Ideas! Are you planning for an upcoming root canal therapy? One of the best things you can do right now is to stock your fridge, freezer, and pantry with plenty of soft (but delicious) foods and snacks. You may not have much of an appetite right at first, but in the days following your root canal you will want to stick to foods that won’t stick to your teeth. To help, we’ve put together a menu just for you! You can still eat well while you recover from a root canal — you just need to do a little prep work first. 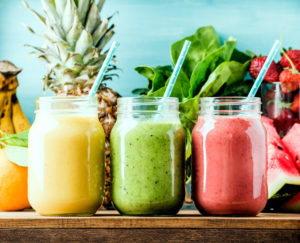 It’s important that you get plenty of nutrients in the time after an oral procedure, and smoothies provide an excellent way to get in all the vitamins you need to heal speedily. They’re also hydrating. What’s your favorite fruit? Peaches are in season right now — toss some (without the pits, of course) into a blender with some ice, yogurt and/or water, hit blend, and voila! Delight in your naturally sweet treat. Extra healthy hint: Toss in a handful of spinach for even more nutrients — it’ll change the color, but you won’t taste the difference at all. 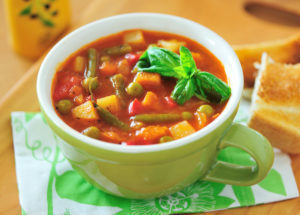 When you are craving something savory as you recover, you will love a cream of vegetable soup — just make sure you skip the side of crusty bread, which could damage your temporary restoration. South Texas tomatoes are ripe and in season, and when boiled and blended with a little cream or yogurt, they make for an especially hearty cream of vegetable soup! Try out this recipe. Extra hint: Soups freeze really well, so you can whip some up in the days before your root canal treatment. They’ll be easy to defrost and enjoy when you may not feel like cooking much. 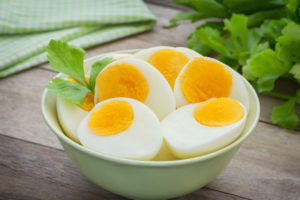 Unless you’re allergic, eggs are the ideal recovery food. They are filled with the protein and healthy fats that make for complete meals. Plus, any way you cook them, eggs are soft and easy to eat after an oral procedure. Have them boiled, scrambled, fried, however you like — but skip the toast, which could put your healing tooth at risk of injury. Extra hint: Eat an omelette filled with mushrooms to get an extra helping of calcium and vitamin D.
Soft white fish is another healthy, protein-full option to eat in the days following your root canal therapy. 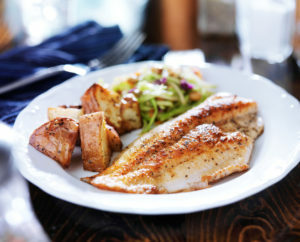 Try boiling or grilling up some tilapia, which is extra soft. You can eat it with a side of rice and steamed vegetables to make a more complete meal post-recovery. Extra hint: Make sure there aren’t any bones in your fish of choice! Maintaining a soft foods diet is important after your root canal treatment. Eating hard, crunchy, or chewy foods could put your affected tooth at risk of damage or infection and ultimately affect the success of the procedure. In rare cases, retreatment is needed. Avoid it by following all of our instructions after root canal therapy! If you have questions about your upcoming root canal therapy, please don’t hesitate to talk to your oral surgeon in Houston. We want you to feel completely calm and relaxed with all the information you need about your treatment. Contact us today! Comments Off on What to Eat After Root Canal Therapy? We’ve Got Ideas!